The 2018 Winter Olympics are officially here, and one of the first events we can feast our eyes on is figure skating. Although this is always a fun event to watch (even if you have no idea what’s going on), it’s even better when you know the athletes’ backstories. The U.S. figure skating team is made up of 14 amazing athletes, all of whom deserve your attention. However…one pair really stands out. 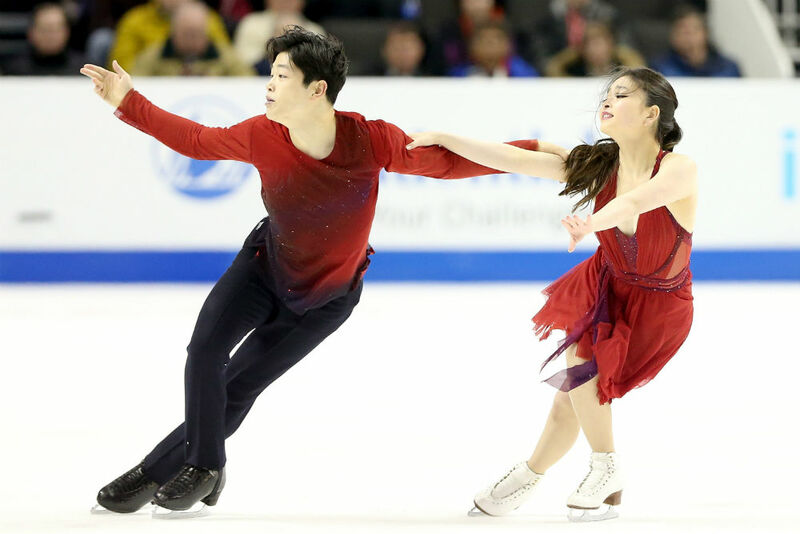 Meet Maia and Alex Shibutani, also known as the ShibSibs. They definitely need to be on your radar during these Games. Maia, 23, and Alex, 26, are not husband and wife, but brother and sister. Maia started skating first as a kid, eventually getting her brother into it too. After they began skating together in 2004, the siblings captured the attention of Susan Kelley and Andrew Stroukoff, the pair who competed in the 1976 Olympic ice dance competition. That year, the ShibSibs finished second at the juvenile nationals. They started training with an Olympic-level coach, moved their family to Colorado Springs to train, began participating in additional competitions, and the rest is pretty much history. Look how adorable they are as kids in this throwback photo — it’s almost too much to handle. The duo can now say they are two-time U.S. National champions. They have won a medal at every national championship at the senior level since 2011, which is two golds, three silvers, and two bronzes. The ShibSibs are also the first U.S. ice dance team to win a medal in their world championship debut, when they earned a bronze in 2011. This isn’t their first time at the Olympic Games either. They competed in the 2014 Sochi Olympics, where they finished ninth. The ShibSibs don’t just know how to skate, they also know how to really sell their close relationship as brother and sister. They have a strong online presence, with a YouTube channel about their lives and ice skating. And, yes, they’re incredibly talented on the ice, with their bond being what helps them stand out. We can’t wait to see what the ShibSibs have planned for the Olympics this year. These two have some serious talent, and we wouldn’t put it past them to receive a medal.